Now you are logged in and can see the My Dashboard page like the image below. If at any time you wish to return to this page, click on My Account on the top menu bar. The My Dashboard is your landing page everytime you login. My Dashboard shows your personal information and also has links to other pages. 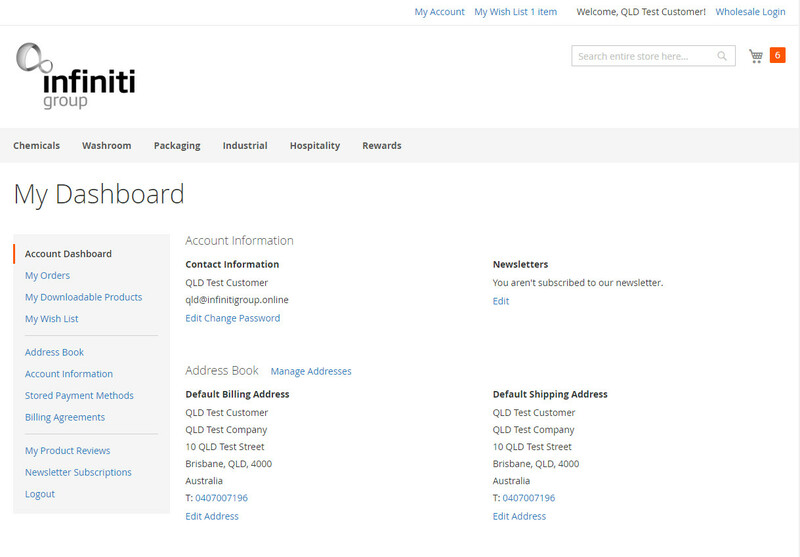 Now you are logged in you can use the product navigation bar shown in the screenshot below to browse the products and pricing. 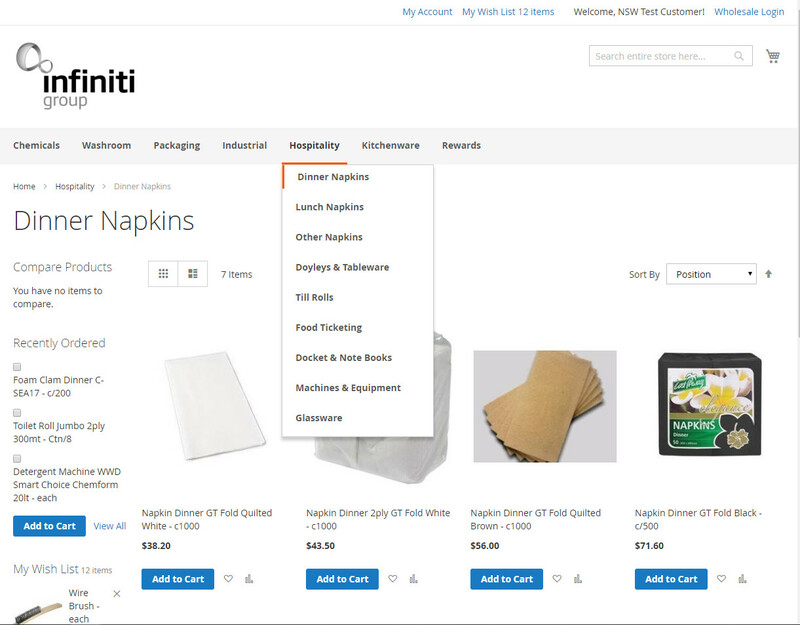 As you hover over the Hospitality part of the menu the dropdown will show you the subcategories, which you can click on to view products in that section.